How can I create a distribution group in Exchange Online? 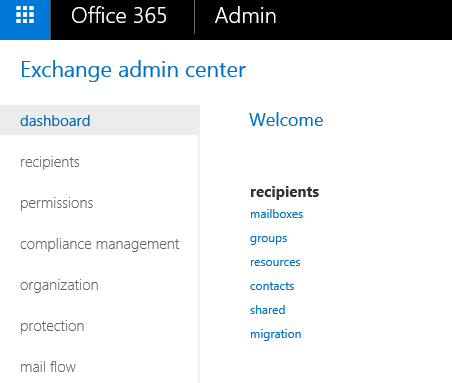 If you are an administrator for your Exchange Online account, you can create a distribution group through the Exchange Online admin center. Once signed in, select groups from the recipients section. Click the plus sign and select Distribution group from the drop down. Fill in the form, being sure to scroll down to the bottom to go through all options, and then click save. 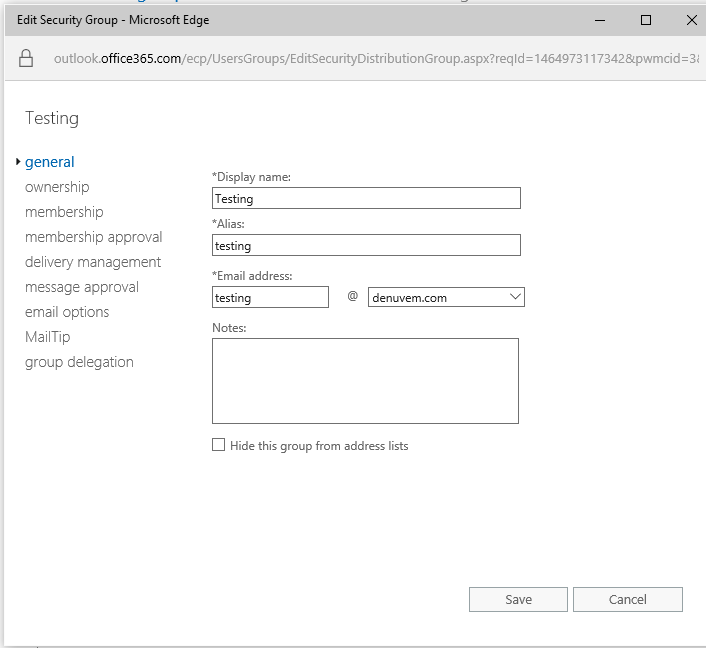 If you would like to allow people outside your organization to send messages to the distribution group email address, you will need to double click on the group once created, then select delivery management from the left. 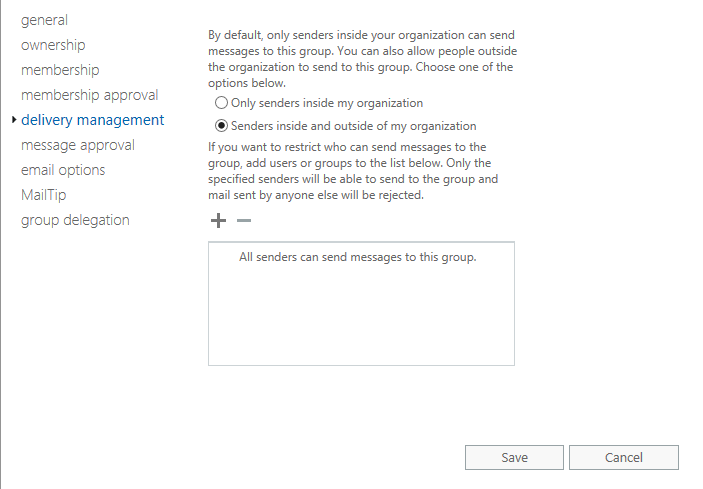 Select Senders inside and outside of my organization and then click save. 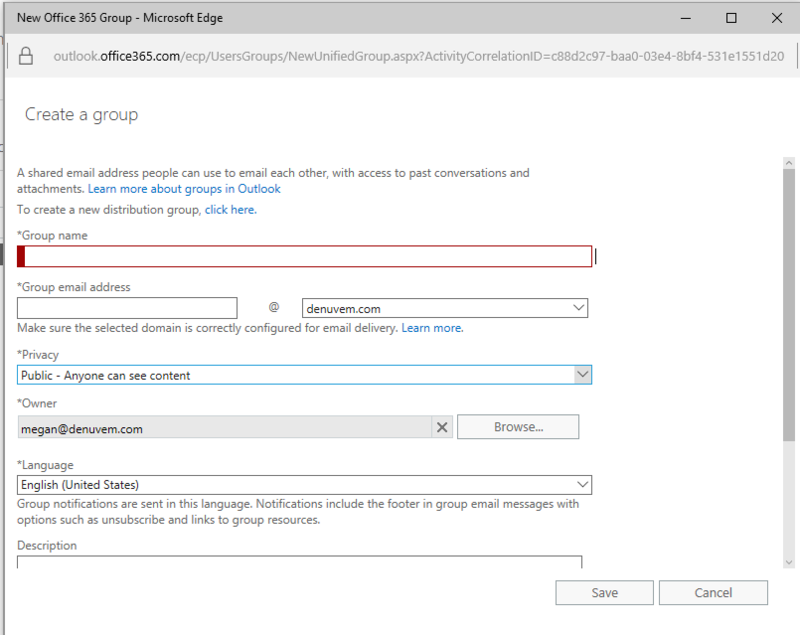 If you aren’t sure if a distribution group will meet your needs, you should review the different ways you can create an email address in Exchange Online. ← Do I have to view my messages as “conversations” with Exchange Online?